A boater's dream,170' of shoreline w/pier & 5+MLW. 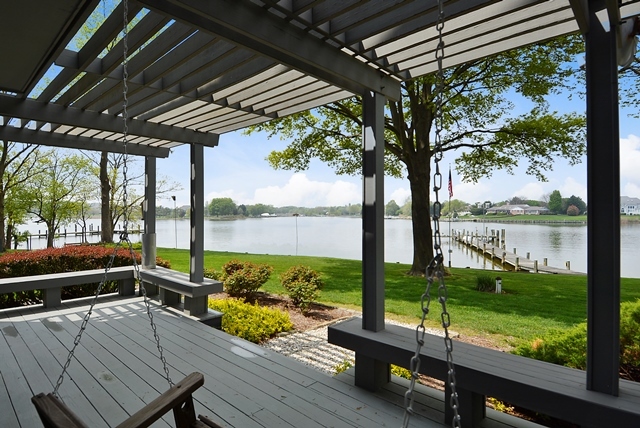 Amazing water views & sunsets! Living room w/vaulted ceilings. Dual kitchens w/Butlers pantry connects to family room. Gorgeous waterfront dining rm. Penthouse master w/bath & dressing rm. 2 en-suite bedrooms, hot tub, hardwood floors, screened porch, elevator, 25x42 pool and oversized 2 car garage.Sited on 1.18 acre landscaped for privacy.